Any movie where the girl gets Jesse Metcalfe in the end sounds like a winner to me. 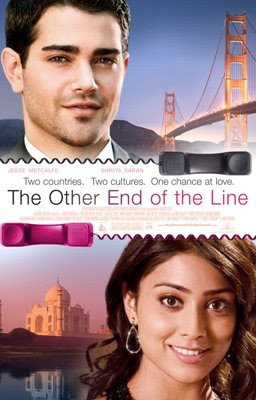 The Other End of the Line seems cute and relevant but this isn't the first film that deals with an Indian/American phone connection. Cheetah Girls 3 had one, even though the situation seemed a little too implausible but this film seems to offer a more realistic storyline. I guess.